Stretching nearly 1 million acres, Olympic National Park offers three distinct ecosystems to explore: subalpine forest and wildflower meadow; temperate forest; and the Pacific shore. Each provides its own unique view of the park with stunning wildlife, rain forest valleys, snow-capped peaks, and stunning scenery. The area is so beautiful and untouched that it has been declared an international biosphere reserve and a World Heritage site by the United Nations. President Grover Cleveland created the Olympic Forest Reserve in 1897 and President Theodore Roosevelt designated the area Mount Olympus National Monument in 1909. Thanks to the recommendation of President Franklin D. Roosevelt, Congress signed a bill designating 898,000 acres as Olympic National Park in 1938. Two years later, in 1940, Roosevelt added an additional 300 square miles to the park. The park was again increased to include 75 miles of coastal wilderness in 1953 thanks to President Harry Truman. The park is open year-round and is popular during the summer as it’s the “dry” season. Be prepared for cool temperatures, fog, and some rain. For those using ferry service, the Coho Ferry is available throughout most of the year between Victoria, British Columbia, and Port Angeles. The Washington State Ferry system serves a number of routes across Puget Sound but does not provide service in or out of Port Angeles. For those flying into the park, The William R. Fairchild International Airport serves the greater Port Angeles area and is the closest airport to Olympic National Park. Rental cars are also available at the airport. Kenmore Air is also another option as the airline flies seven daily round-trip flights between Port Angeles and Seattle’s Boeing Field. There is an entrance fee to enter Olympic National Park, but it is good for up to seven consecutive days. Costs differ whether you come by vehicle or on foot, so check the park website for up-to-date fees before you go. America the Beautiful Passes are accepted at Olympic National Park and will also waive the entrance fee. If you live in the area and plan on visiting the park multiple times in one year, consider purchasing the Olympic National Park Annual Pass, which can help you save money on repeat visits. This is a great park for outdoor activities. Besides camping, hiking, fishing, and swimming, visitors can enjoy bird watching (there are over 250 species of birds to explore!) tidepool activities, and winter activities like cross-country and downhill skiing. Be sure to check out ranger-led programs like guided walks and campfire programs, before your visit. A schedule of events can be found in the park's official newspaper, The Bugler. Temperate Rainforest: Drenched in over 12 feet of rain a year, Olympic's west side valleys flourish with North America's best remaining examples of a temperate rainforest. Check out the giant western hemlocks, Douglas-firs and Sitka spruce trees. Lowland Forest: Stunning old-growth forests can be found at the lower elevations on the park's north and east sides. 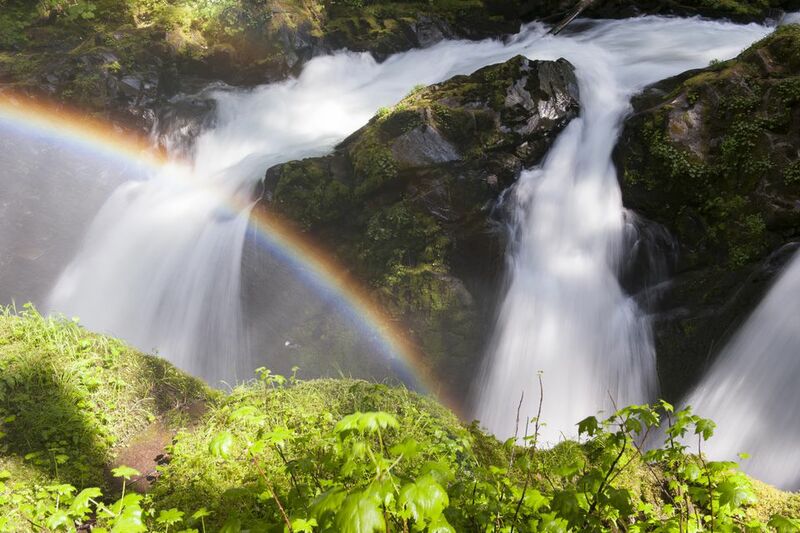 Explore these lush valleys at Staircase, Heart O'the Hills, Elwha, Lake Crescent, and Sol Duc. Hurricane Ridge: Hurricane Ridge is the park's most easily reached mountain destination. The paved Hurricane Ridge Road is open 24-hours a day from mid-May through mid-autumn. Deer Park: Travel up an 18-mile winding gravel road to Deer Park for beautiful alpine scenery, a small tents-only campground, and hiking trails. Mora and Rialto Beach: Stunning beaches with campgrounds, nature trails, and the crisp Pacific Ocean to swim in. Kalaloch: Known for its wide sandy beach, the area has two campgrounds, a concession-operated lodge, a ranger station, a picnic area, and self-guided nature trails. Lake Ozette Area: Three miles from the Pacific, the Ozette area is a popular coastal access point. Olympic has 16 NPS-operated campgrounds with a total of 910 sites. Concession-operated RV parks are located within the park at the Sol Duc Hot Springs Resort and Log Cabin Resort on Lake Crescent. All campsites are first-come, first-served, except for Kalaloch. Keep in mind that the campgrounds do not have hook-ups or showers, but all include a picnic table and fire pit. For more information, including group campgrounds, check the official NPS site. For those interested in backcountry camping, permits are required and may be obtained at Wilderness Information Center, visitor centers, ranger stations, or trailheads. If roughing it outdoors isn’t your scene, check out the Kalaloch Lodge or Lake Crescent Lodge, both within the park. Log Cabin Resort and Sol Duc Hot Springs Resort are also great places to stay and include kitchens, cabins, and places to swim.